Proceedings from the 13th annual Alaska Invasive Species Conference (October 30 – November 3, 2012) are now available at the proceedings’ web page. Five presentations (links provided below) cover entomological topics. Band of shrub defoliation above treeline from Michael Rasy’s 2012 CNIPM conference presentation. 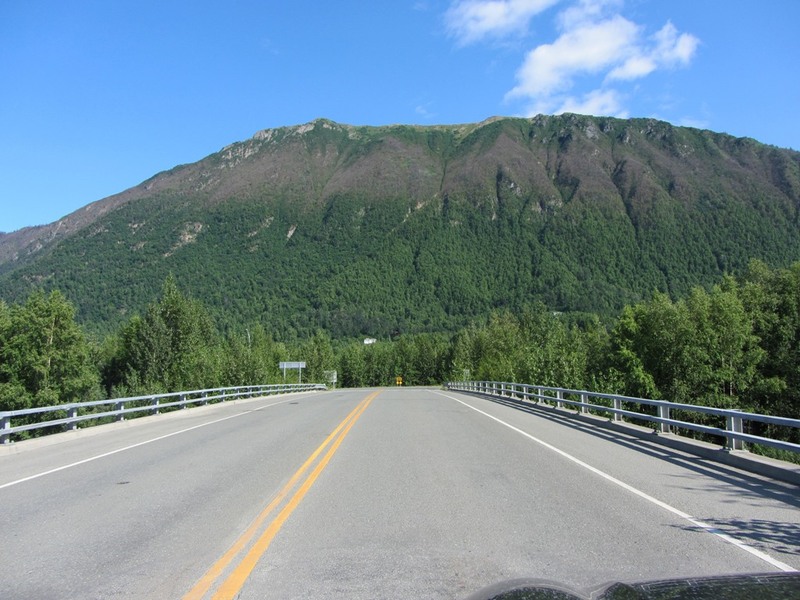 Photo by John Lundquist (USFS) a the Peter’s Creek exit on the Glenn Highway, 2012. Katie Spellman (UAF, Fairbanks) presented her investigation of how exotic white sweet clover affects pollination and fruit production of native berry-producing shrubs. Michael Rasy (UAF Cooperative Extension Service, Anchorage) and Nathan Lojewski (Chugachmiut) focused on recent severe defoliation of deciduous shrubs in southcentral Alaska, mostly by Geometrid moths. Elizabeth Graham (USFS, Juneau) covered a range of forest health topics, including aerial detection surveys and exotic insect forest pests. Mia Kirk provided an update on the 2011-2012 Alaska Firewood Survey. White Sweetclover, Pollination and Berry Production: What’s the Buzz? ?